All we need now is a trailer. Courtesy of Game Informer, all sorts of new information has been revealed for Assassin’s Creed III. And previously, a lot of screenshots were also leaked. Both major and minor, positive and negative. It seems like Ubisoft has been hard at work during these past years as it’s said that Ubisoft was working on the new Assassin’s Creed simultaneously alongside Brotherhood and Revelations for three years. And it seems that the fruits of their labor might pay off, or they may disappoint the series’ fans. Somebody's gonna get their head chopped off. So, there’s a lot of things that GamingBolt unveiled. But first things first. The Protagonist, is the son of a Native American mother and a British Army father. He was born into the Mohawk tribe as Ratohnhaké:ton. Confused how to pronounce it? So are we, and the Assassin knew it, so he named himself Connor. Connor is “quiet and stoic,” and lets his actions do the talking. Rather than the personal vendetta of Ezio Auditore, Connor fights for the freedom of his people, and that’s how he finds the Assassin Brotherhood, who will return in a different style compared to their Roman, Turkish and Syrian counterparts. Connor fights along with the American Army, with historic figures such as Benjamin Franklin, Charles Lee and George Washington against the British. This does not imply that British are the “bad guys,” as the Templars are everywhere. Connor has new abilities to show off. For starters, he can dual wield daggers and tomahawks and can, of course, chain kills. 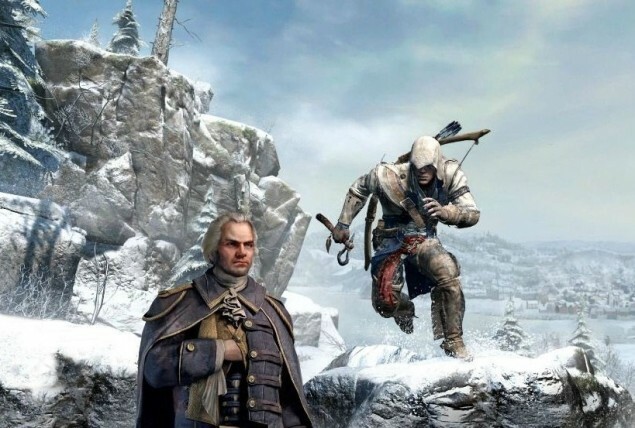 Since there weren’t a lot of tall buildings for Assassins to climb back during the American Revolution, Connor will be able to climb trees and assassinate targets using his long bow, rather than the Crossbow wielded by Ezio Auditore. 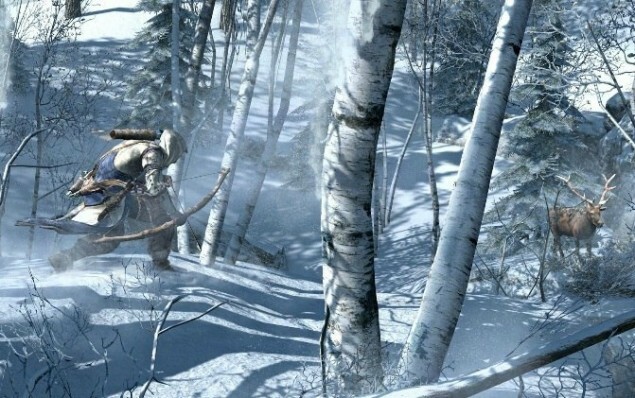 Connor can also hunt for animals in the wild and sell their furs and other various extracted items in the market, courtesy of the revamped Economy System. Connor is also able to use human shields along with context sensitive actions. Also, he can use the environment to his advantage, although it wasn’t elaborated how. Settings include late 18th century Boston, New York and an extremely large countryside. The countryside takes up about 1/3 of the game world size and is about 1.5 times the Rome in Brotherhood which is definitely… impressive. And a lot of events will occur in the said countryside. What’s most exciting is that there are seasons in the game. During the summer, the sun will shine hard and the land will be covered with snow come winter. Also there aren’t thieves, mercenaries or courtesans on the streets, but they’re not completely gone as they’ll be replaced with other factions. In true Assassin’s Creed style, in-game characters will speak the Iriquois language which was spoken by the Mohawk tribe at the time. The game uses an update version of the Anvil Engine. Changes include a brand new camera which will offer the best experience for playing. Personally, I was satisfied with the camera in older games but oh well. Main character Desmond Miles will now have to step into the Animus 3.0 and will find himself in “significant events.” What this means, we have no idea. There is a fast travel system, probably due to the absurd size of the game-world. Den Defense is gone, thankfully. Also, the most interesting thing is this quote: “Expect Uncharted level of character interactions with 2.5 hours of scenes recorded.” Somebody’s really hopeful. So, what do you think? Do you think that so many changes will be good for the Assassin’s Creed series ? Discuss!